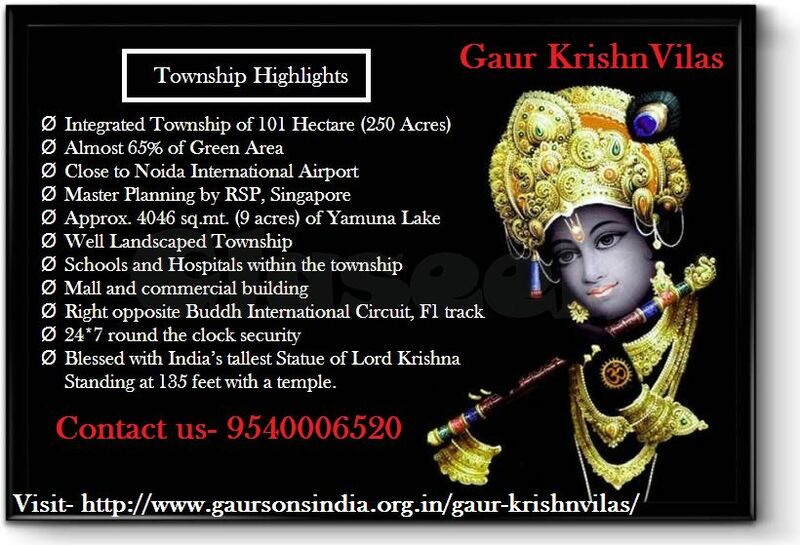 Gaursons India is coming up with new Residential Villas named Gaur 3rd Parkview Vilas in the name of Lord Krishna named “Gaur KrishnVilas” at integrated township Gaur Yamuna City, Yamuna Expressway. KrishnVilas, the luxurious villas will definitely take you back to the golden era of Lord Krishna, where music and art mesmerized the world, where Experience and dedication restore the soul. Krishna Vilas liberated Villas are located at a desired location of Noida, Yamuna Expressway with jogging track, Soulful Environment, cricket stadium, Lush Greenery & Huge Garden. 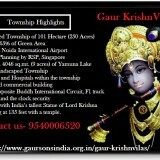 Gaur KrishnaVilas offers 3, 4 and 5 bedrooms Premium villas are calm yet enjoyable. • Special Offer- Book Premium villas before space ran out! !